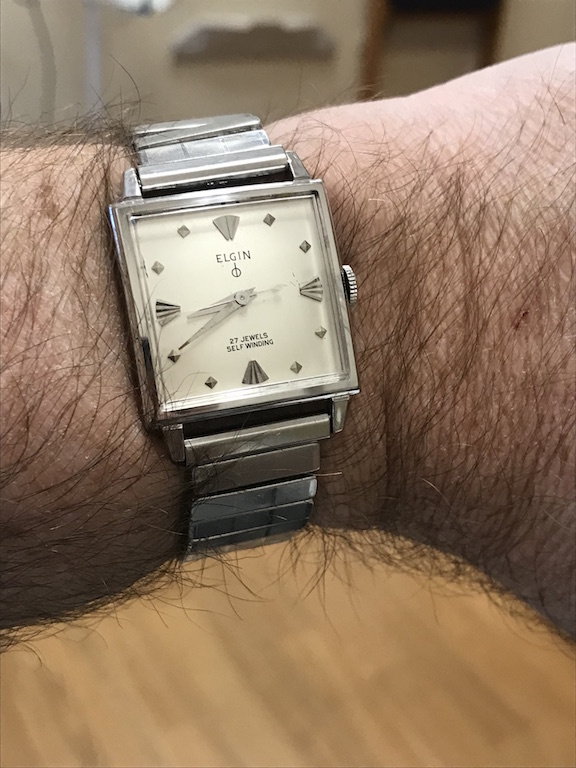 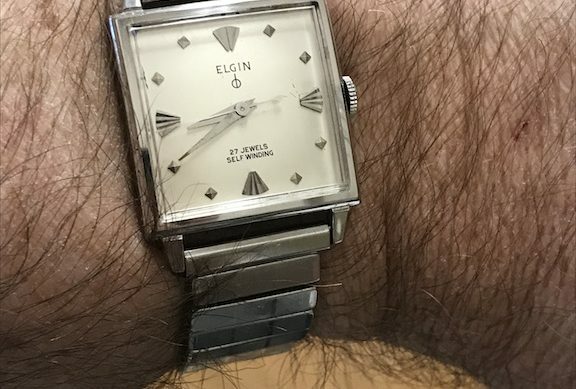 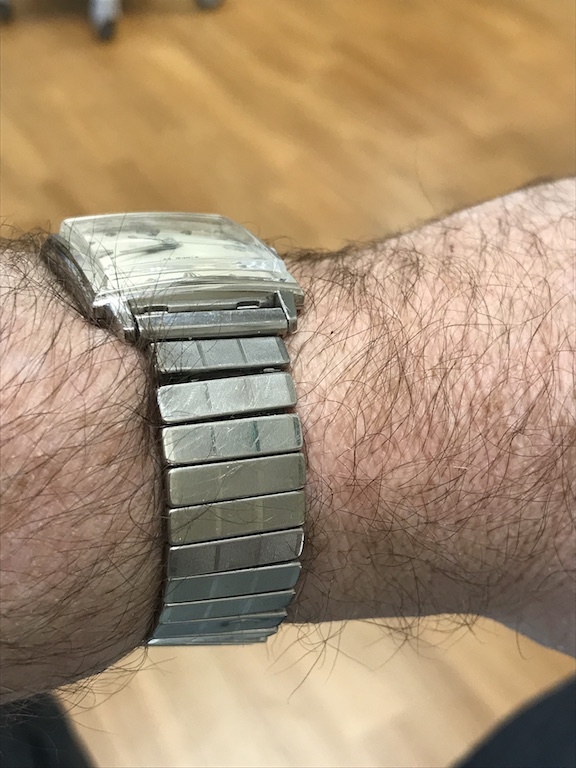 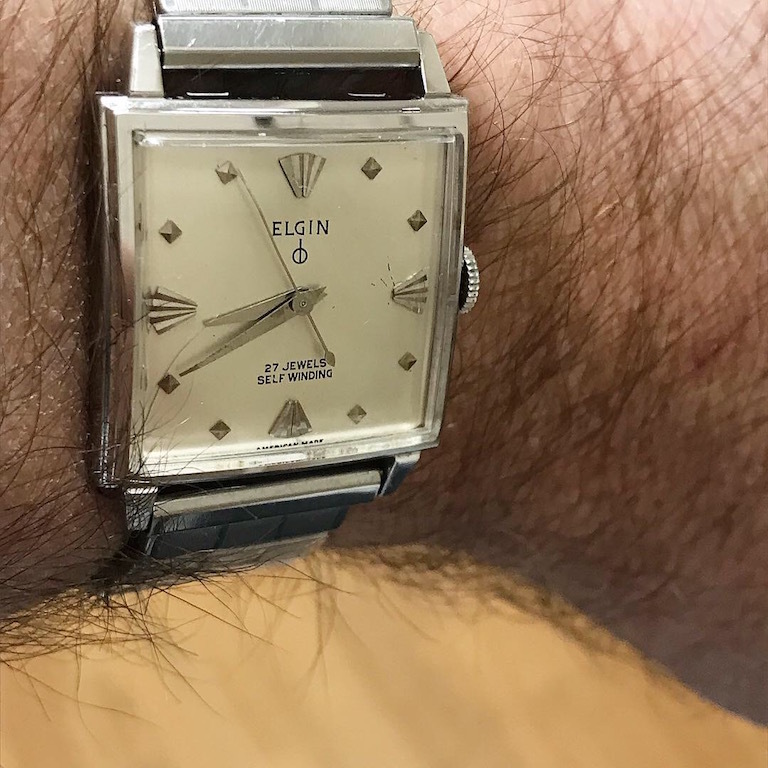 Elgin Thin Thin, Case 4445 | Grumpyguy Inc.
Elgin, #4445, is a square Thin Thin model from 1960. 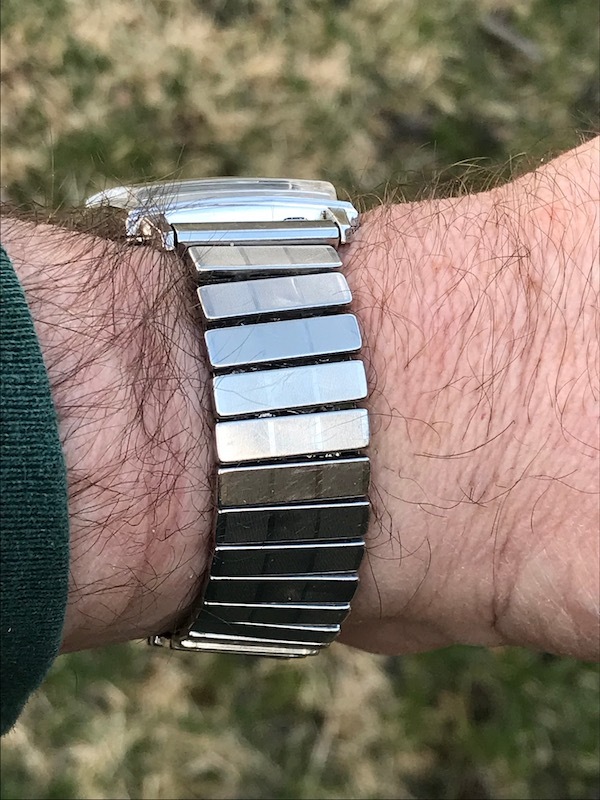 It uses the American made and designed 761, 27 jewel automatic. 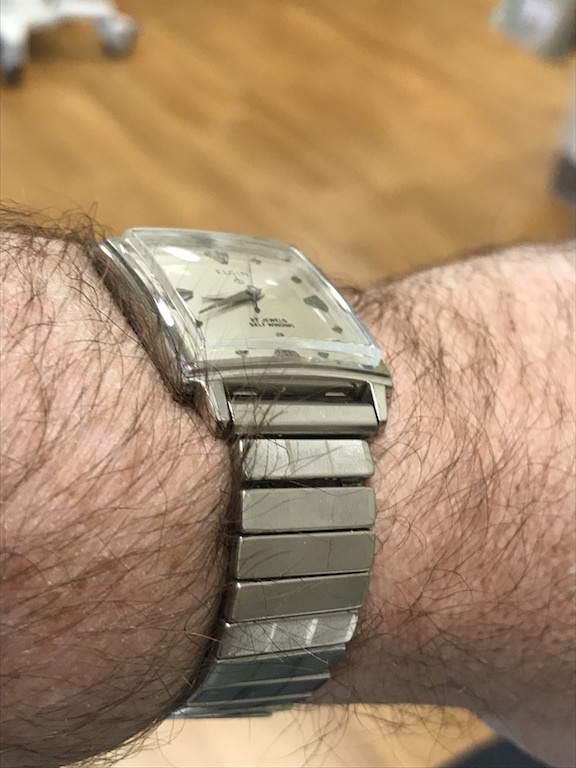 While I already have the linen style dial versions, this dial style is difficult to find in decent shape. 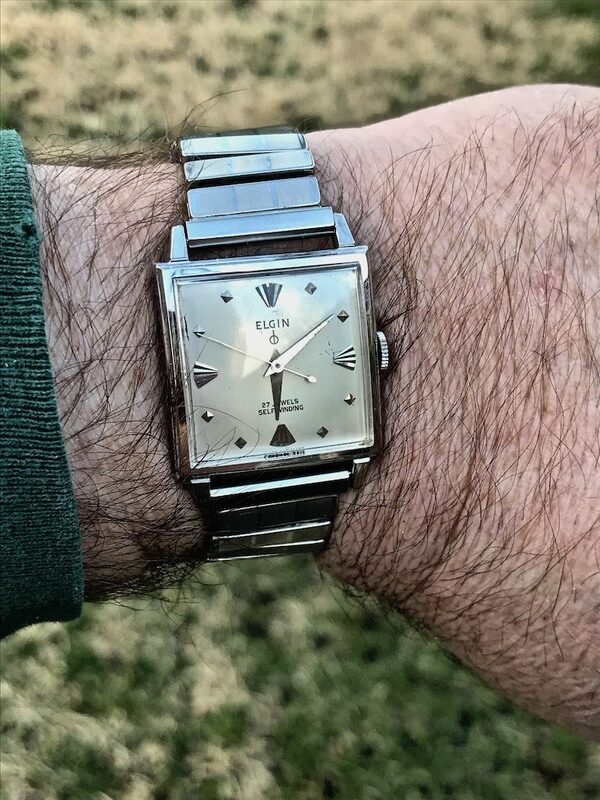 I’m very happy to have come across this dial. 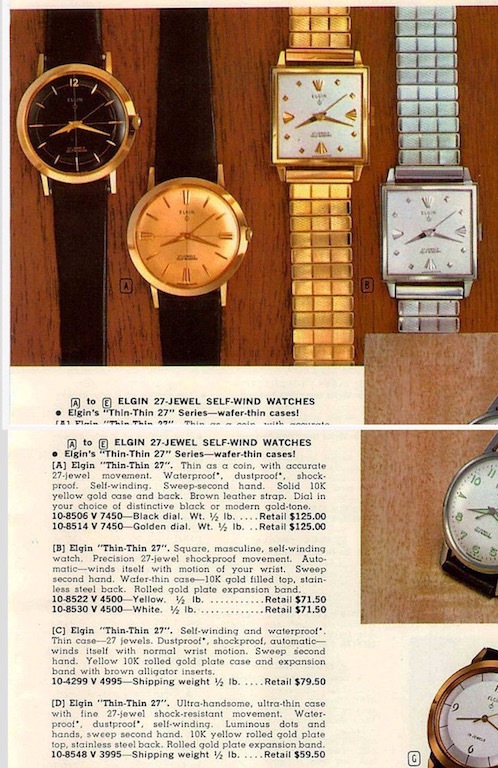 Also, it came with the original Admiral expansion band, which you can see in the advertisement below.